Rain barrels and trees – two topics you can learn more about at upcoming events in Kendall County this spring. As we have seen a decline in the population of our native oaks and ash trees being impacted by emerald ash borers, we continue to consider the future of our native woodlands and forested areas in Kendall County, as well as in the northeastern Illinois region. Also, as many native trees have declined, invasive species such as buckthorn and honeysuckle have increased. 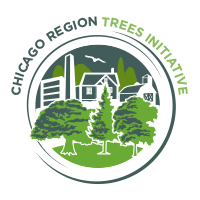 To address the status of our trees, the “Chicago Region Trees Initiative” was established in 2013 as a collaboration of partners working together to develop and implement a strategy that builds a healthier and more diverse forest by 2040. This strategy was developed in cooperation with the USDA Forest Service and the Morton Arboretum. A coalition of agency, industry and community representatives are working together to expand the understanding of the value of the region’s trees and to make meaningful tree and forest improvements in the region. • We only have 30 percent of our oak ecosystem remaining in Kendall County. What do we want to do protect and preserve it? • What do we need to do so that we don’t have another problem like emerald ash borer? • Buckthorn, an invasive species, comprises nearly 30 percent of our urban forest across the seven county region. What can we do to keep the buckthorn population low or eliminate it before it takes over? Also, in April, there will be a special Rain Barrel Day event on April 22 in Oswego. The village of Oswego, in partnership with the Conservation Foundation, is selling rain barrels for pickup or home delivery. Rain barrels are large containers that capture stormwater from your roof that would otherwise be lost as runoff. The rain barrels will cost $60 and can be ordered online at upcycle-products.com/oswegoil.html. You can choose delivery of the barrel to your home for an additional $5, or choose to pick it up on April 22 for no additional charge. Online orders need to be placed prior to April 18 for pickup and are to be collected at the Oswego Village Hall from 9 a.m. to noon Saturday, April 22. Informational displays will be available also. You do not have to live in the village of Oswego to participate in this program. Call 630-428-4500, ext. 132, or 630-554-3242 for information on this rain barrel day event. Also, don’t forget another upcoming event – the fun, free Dickson-Murst Spring Farm Day from 10 a.m. to 3 p.m. May 7. It is a great outing for the family with animals, games, wagon rides, plant sales, and antique equipment. For information regarding The Conservation Foundation or other events, phone 630-428-4500 or 630-553-0687, ext. 204. • John Church is the Kendall County Program Director at The Conservation Foundation.